Americans Need to Save More. Here is How Self-Directed IRAs can Help. Millions of Americans need to do more to prepare for a secure retirement. Those are the results of the newly-released 2018 Planning and Progress Study from Northwestern Mutual. Nearly 8 out of 10 Americans are concerned about their own retirement security, and more than two thirds are concerned about outliving their retirement savings. Self-Directed IRAs may be the key to securing a nice retirement. One out of five Americans have no retirement savings whatsoever. 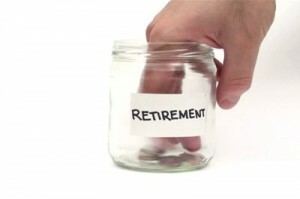 33 percent of Baby Boomers – now nearing or entering their retirement age, have $25,000 or less in retirement savings. Three out of four Americans believe it is only “somewhat likely” or “not at all likely” that Social Security will be there for them in retirement. Almost half of all Americans have not taken any steps to help ensure they will outlive their retirement assets. More Americans expect to be working longer into their traditional retirement years. Nearly 4 in 10 (38 percent) expect to be working at least to age 70 – well past the traditional retirement ages of 60 to 65 years. Only 33 percent expect to be able to retire during that traditional age range. Additionally, fully 55 percent of respondents – more than half – expect they will need to work past age 65, with nearly three quarters of them reporting insufficient savings as the primary driver of the decision to keep working. Other contributing factors include the expectation that Social Security will not be around for them in its present form, and concerns over increasing health care and long-term care costs. You can read more about the study and its methodology here. 1.) Start saving early. The sooner you begin saving in earnest, the more compounding can work in your favor, and the less investment risk you will need to take to meet your retirement income needs. 2.) Maximize tax-advantaged saving and investing opportunities. Save as much as you can in Self-Directed IRAs, Self-Directed Solo 401(K)s, Thrift Savings Plans and other tax-favored account types. If you have self-employment income or own a business, start a retirement plan of your own, and contribute as much as you can. 3.) Start a Self-Directed IRA. These increasingly popular Self-Directed IRAs are designed to enable investors to expose themselves to a wider variety of asset classes not readily available from traditional investment companies, which focus on stocks, bonds, mutual funds and annuities. Self-Directed IRAs enable you to take direct ownership of hand-selected real estate, gold and precious metals, tax liens and certificates, private placements, venture capital and other assets not normally available from retail brokerages and investment companies. 4.) Own real estate. Real estate offers a powerful combination of current income, increasing income potential, capital appreciation, leverage and downside risk protection. We recommend owning at least some real estate within a Self-Directed Real Estate IRA, which allows for both income and capital appreciation on a tax-deferred basis, or in the case of Self-Directed Roth IRA accounts, tax-free. 5.) Reduce the fees you pay. The average actively-managed mutual fund can sap your portfolio of 20 percent or more of its value over a lifetime, thanks to high mutual fund expense ratios and other hidden transactions. Consider migrating some of your assets to index funds and pull assets from accounts with expensive “wrap” fees and assets-under-management fees to firms that charge a much more reasonable flat rate for services rendered. For example, if you are a long-term, buy-and-hold investor, it makes little sense to subsidize other investors’ trading by paying a high expense ratio, which can eat away at your retirement nest egg like termites. This can cost thousands of dollars per year in a good-sized investment portfolio. A flat rate, menu-based fee schedule may cost a small fraction of the fees and expenses you’re currently paying to a traditional broker or investment company. 6.) Start taking positive steps today. For example, open a Self-Directed IRA or Real Estate IRA with American IRA, LLC. American IRA is one of America’s leading providers of administrative services for Self-Directed IRAs of all stripes. Once your account is open and funded, it is very easy to purchase assets – including entire houses and apartment buildings – for your retirement portfolio. To get started, call us today at 866-7500-IRA (472) or visit us on the Web at www.AmericanIRA.com. When you decide to set aside money for retirement using a traditional IRA, it can feel frustrating and frightening to be out of the loop when it comes to investing. You may worry about your retirement fund being managed poorly or unskilled and incompetent investing services flushing all of your hard earned money down the toilet. However, when you decide to trust your money with a company who offers self directed IRA services, such as American IRA, you are in the driver’s seat. A company with self directed IRA services allows you to decide where your money goes and gives you total control over which investments you want to make, and it doesn’t just stop there. Do you want to invest your money in real estate or precious metals? Having IRA services that are self directed enable you to put your money wherever you feel the most confident. Traditional investing services will not allow you this type of independence and flexibility. Building trust in a company is important, especially when it comes to your finances, and you do not want to be left in the dark about where your money is being invested. In order to give you this type of financial freedom, companies who offer self directed IRA services will work for you as your personal trustee company. At American IRA, you will have the power to make all of the financial decisions, while benefiting from the security of having a trustee watch over your IRA. American IRA is a leader in self-directed IRA services, and can help you feel secure and confident in your investments. Don’t waste any more time and money with companies who do not have your specific interests in mind. Click here for more information on self-directed IRA services, or call 1-866-7500-IRA(472). Is your retirement fund feeling a little stale with the same limited portfolio diversification you’ve come to expect over the years? Are stocks and bonds getting old? Are you looking for something a little different? Self-directed IRA services with American IRA offer a different approach; an alternative way to invest in what you know best! There are many different investment possibilities out there beyond your traditional options. In fact, self-directed IRAs are a fantastic way to put your hard-earned savings to work in various tax-reduced or even tax-free accounts! Whether you’re interested in real estate investing, starting up an LLC, or mastering tax liens and deeds, self-directed IRA services with American IRA facilitate your investing imagination. There is one “caveat” however: once you start with self-directed IRAs, it’s hard to go back to traditional accounts! Fortunately, a self-directed IRA is more about the possibilities than the restrictions. For example, you can invest in gold, act as a private lender, or rent out a property by implementing a buy and hold real estate strategy to name just a few more options at your fingertips. While the IRS does specify certain rules on what you can’t invest in, this is a very limited list. Have you ever wondered if you could somehow tie an education savings account to your IRA? Self-directed IRA services once again unlock even this capability. If you want to embrace the future of IRA investing, contact us and we’ll be happy to provide you with more information! If you have any questions about opening a new account, contact us at 1-866-7500-IRA(472) or info@americanira.com. If you’d like to transfer your existing portfolio, contact us at 1-866-7500-IRA(472) or transactions@americanira.com. Click here for more information on both topics. New Suits Over Do-It-Yourself IRAs, as reported by the Wall Street Journal, prompts American IRA, LLC to remind self-directed IRA holders about the importance of ‘Due Diligence’. Regardless of what you invest in…it is critical that investors perform ‘due diligence’ and that they hire professionals to perform ‘due diligence’ for them when they are working in an area that they are not an expert in. The Wall Street Journal reports that a wave of blowups in self-directed IRAs has prompted some investors to go after firms that handle the paperwork. The article goes on to report that self-directed IRAs have been around for years and have increased in popularity as investors sought after investments that brought higher returns than the stock market. American IRA always emphasis’ the importance of ‘due diligence’ and the importance of working with an administrator who is willing to explain the self-directed IRA process.